How would Apple revamp the iPod Nano into iWatch? Apple’s September 12 event is the most talked about and anticipated technology-related event this year. Ofcourse, Apple releasing the sixth generation iPhone will be a no brainer (and we kill the possibility of the alleged iPad Mini to grace the event, iPad needs a proper spotlight) the Cupertino-based company may serve extra sweets for that day’s dessert… maybe the revamped iPod Nano or iWatch? If you think that wristwatches are dead because our phones tell time, Apple might have the right kind of watch that could make everyone wearing them again. Check out the following rumors about the revamped iPod Nano after the jump. This technology that has been present in all Apple products (iPhone, iPad, etc). If it will be pushed through, this capability would bring Nano awesome capabilities like connecting to your iPhone; and enabling it to turn on with pushed-information like incoming SMS, caller IDs and social networking updates. You can even try do Siri-conversations via phone and do push-to-talk (walkie-talkie) calls via iPhone. Imagining an iCloud-connected wristwatch that can play music over nearby speakers would definitely a welcome thought to geek-aficionados. You can also deal with your fitness apps in an instant. Reports point out that this revamped Nano will have a curved glass which Apple has been secretly working on since last year. It may even have its own version of iOS in order for the device to run apps. There have been several Nano-centric apps that have been emerging since last year. We wouldn’t be surprised if Apple will release new apps this fall like stopwatch, calculator and world clock that sets its local time upon location. You can even imagine an iMessage app or an app that sync to your calendars and reminders. Apple has spearheaded most of mobile technology innovations today, but will they “mainstream” wireless app-based wristwatches and make most of the people wear them back fashionably? 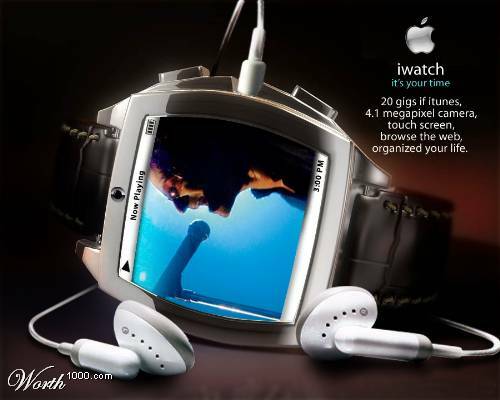 Pinoy Metro Geek: How would Apple revamp the iPod Nano into iWatch?